The word yoga means union. 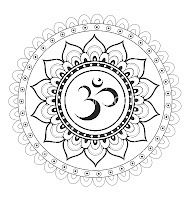 Yoga is thus a form of meditation that unites the human soul (atman) with the divine soul (Paramatman), or equivalently, with the divine essence (Brahman). A practitioner of yoga has to study the Puranas, the Vedas and history He has to exercise restraint regarding the sort of food he eats. The best forms of food are yoghurt fruits, roots and milk. Yoga should be practiced in a place that is pleasant. It should not be too hot or too cold there. Nor should there be any noise to distract the practitioner. Yoga has to be performed in a proper posture (asana). The practitioner concentrates the entire focus of his mind on the tip of his nose. He contemplates the form of brahmana. This can only be successful if one is detached and controls one’s senses completely. 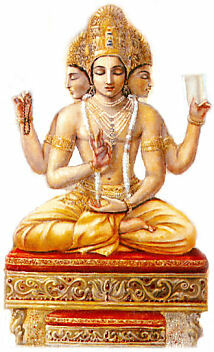 If yoga is performed properly, there comes the knowledge that the same Paramatman is in all living beings. To think that living beings are distinct from one another is only to fall prey to one’s illusions. All the elements have the same Paramatman in them.